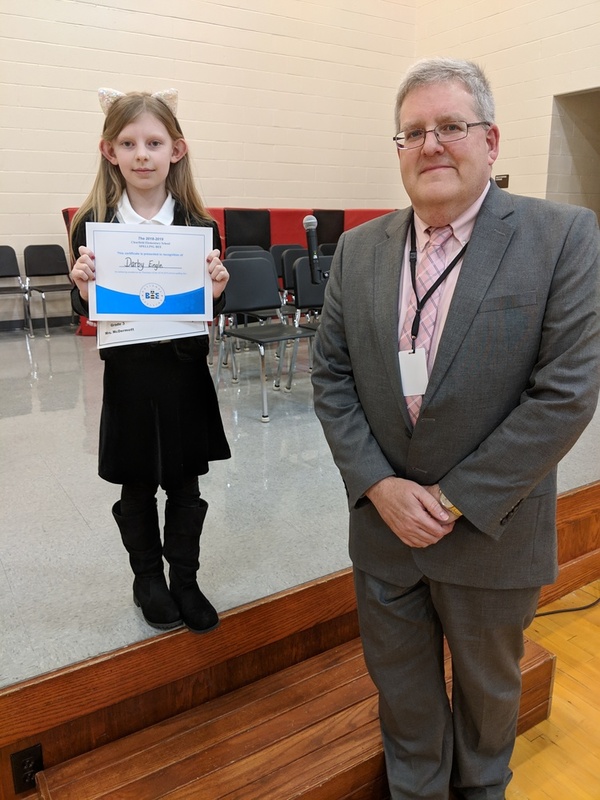 Congratulations to Darby Engle for winning the grades 1-3 Spelling Bee! All of the students involved did a wonderful job! 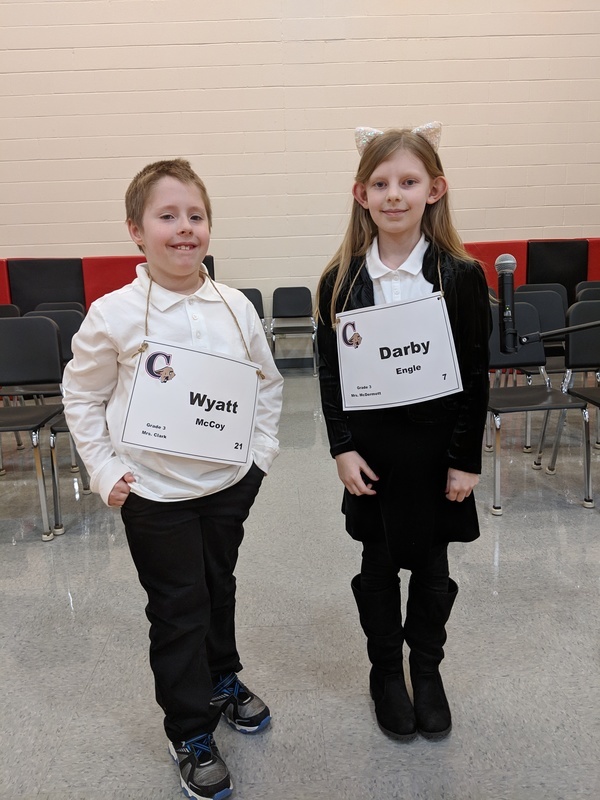 Also pictured is Wyatt McCoy who placed 2nd in grades 1-3.